Many people, including furniture salespersons, tend to believe that wicker furniture and rattan furniture are about the same. Although hanging wicker chairs and hanging rattan chairs fall under the same concept of hanging basket chairs, there is a remarkable difference between the two. Rattan belongs to the palm family. So it is a specific material, highly suitable for furniture because it is light, durable and relatively flexible. Wicker is the process used to weave various materials into the finished product. That means that wicker furniture can be made from different materials such as bamboo, straw, willow and even rattan. Recently, synthetic materials are also being used for manufacturing wicker furniture. Should I go for natural or synthetic? Natural rattan furniture is “natural” and therefore the first choice among the eco-friendly furniture product lovers. It is more unique than synthetic rattan furniture, but it is best when it’s kept in a dry location. In the indoor area, every kind of rattan furniture is absolutely maintenance free. Although rattan furniture is very lightweight and isn’t difficult to move or handle, taking it indoors or covering it with a furniture cover every time you think it might rain becomes a nuisance. A perfect place for a rattan hanging chair is inside the house or on a covered porch. Want to hang a chair from a branch in the garden? Weather-resistant synthetic rattan or painted wicker furniture also called “all-weather wicker” is much more durable and looks just as elegant as that made from natural rattan, and can be used indoors as well as outdoors. 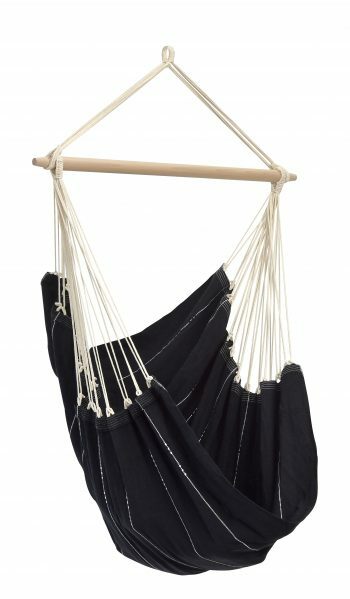 The other big advantage of synthetic rattan hanging chair is that it’s very easy to care for and keep clean using just warm water and washing up liquid. But even a swing chair made of poly rattan should be covered during heavy weather conditions. 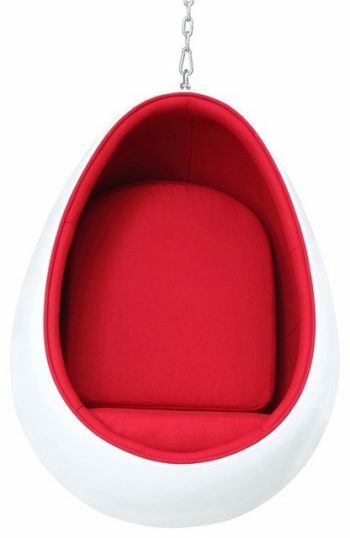 The synthetic rattan is indeed almost indestructible, but the metal parts of the seat or the frame can rust. Here are some perfectly designed models of wicker. 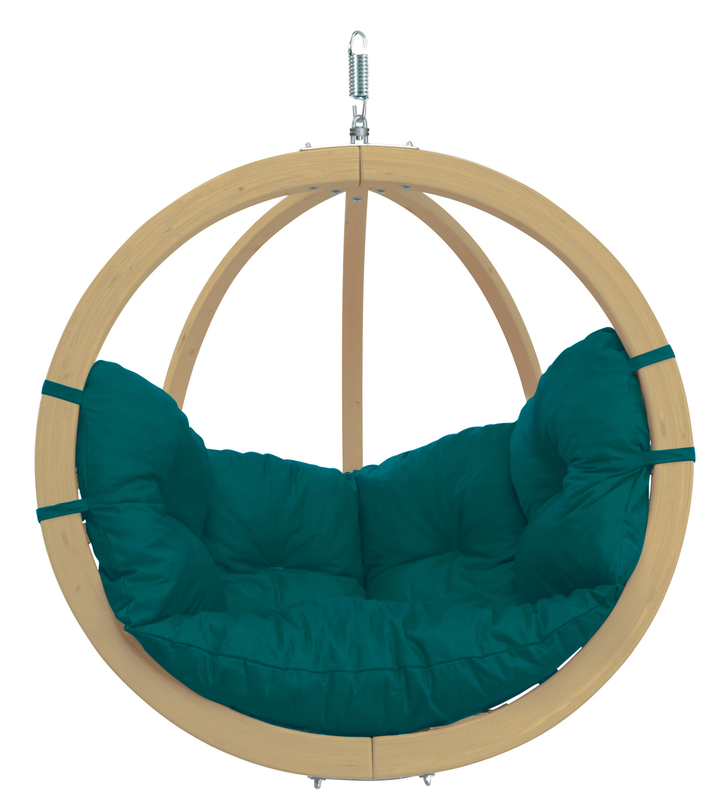 No matter which of them according to your taste you choose, a hanging chair placed in the garden or in your own home allows you to relax after a long day. If you chose a free-standing hanging rattan chair with a matching frame, you’ll have no more worries about how and where to purchase a suitable chair stand.